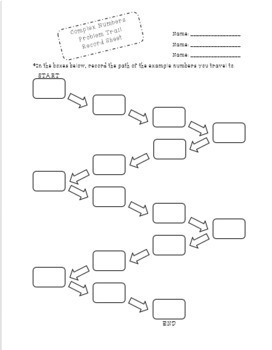 A problem trail gets students out of their seats to practice their mathematical understanding. The solution students get to a question leads them to their next problem. There are 15 questions in all. Students can work individually or in groups. 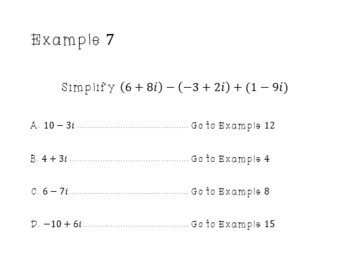 This activity allows for student discussion among peers to think out loud how to simplify a variety of problems involving complex/imaginary numbers. 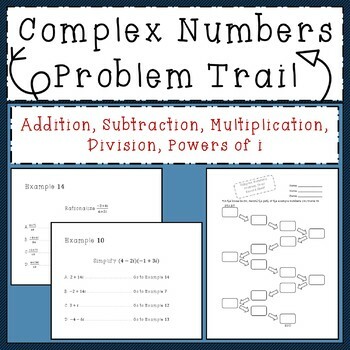 This problem trail is designed to help students practice their understanding of operations with complex/imaginary numbers. Operations included in this problem trail are addition, subtraction, multiplication, division/rationalizing, and reduction using powers of i.